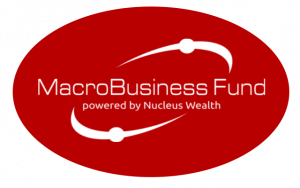 The chances are that you read Macrobusiness for no-nonsense, unbiased insight into the most pertinent issues in today’s macroeconomic climate.So do over 120,000 other people around the world per month. Now you have a chance to meet the team in person, talk investments, hear first hand about how the popular blog was founded, how it has evolved over the last 7 years and where it is headed. War on the bubble and other stories. David Llewellyn-Smith and Leith Van Onselen describe the history of MB and its future. How did a war on a housing bubble drive a blog to become a fund manager? Contrasted with the inside word on asset allocation and portfolio positioning. Merging big data with small data. Damien Klassen on the latest in quantitative techniques to select stocks, where the pitfalls are and his thoughts on when the fundamental analyst is destined for the glue factory. How does that fit into the current investment environment? The future of investment advice. Tim Fuller gives a guide to Australian investment options, the evolution of financial advice and how we see the landscape unfolding. Panel Discussion: Just how buggered is Australia? This is designed to be an open, free flowing discussion on the investment outlook. Given we are about to celebrate (commiserate) a lost decade of Australian income non-growth, this is vital discussion for the future of Australian investors. The discussion will be loosely based around this major macro theme. * If you are still considering an investment and would like to attend the conference for free, please login and try out our onboarding portal (we would love to know your feedback!) here and then register below.